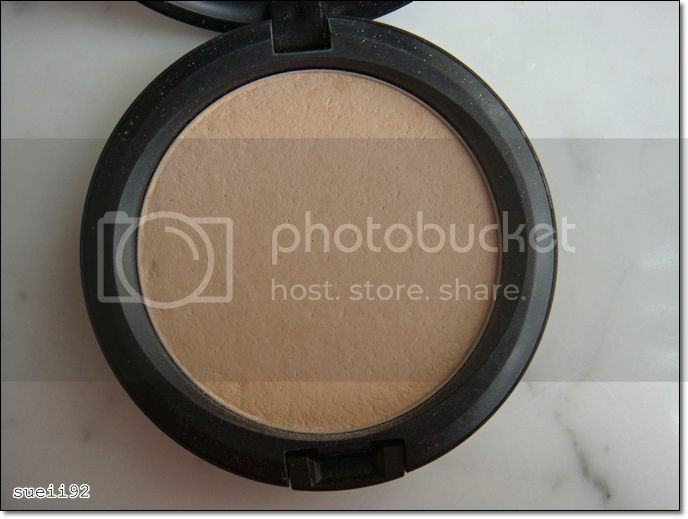 A pressed powder designed primarily to control oil, reduce shine on skin's surface. Sets foundation, finishes faces without adding colour or texture. This unique pressed powder is designed to provide shine control without adding any noticeable colour or texture. For use in professional situations for frequent touch-ups. 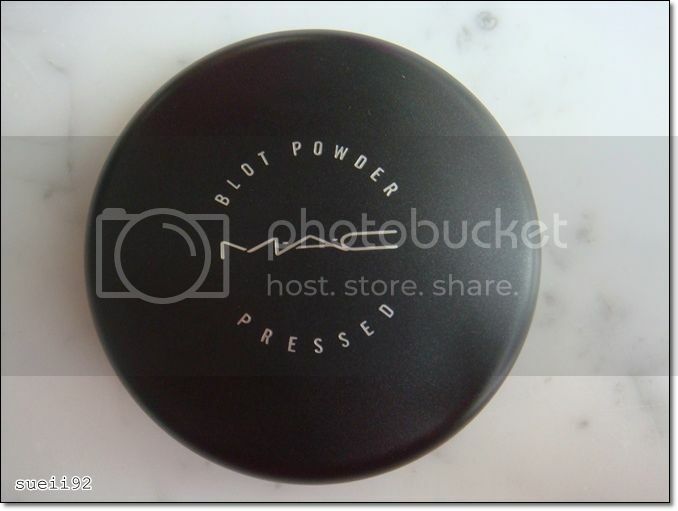 Blot Powder contains Mica and Silica to adsorb excess oils and reduce shine on the skin's surface. 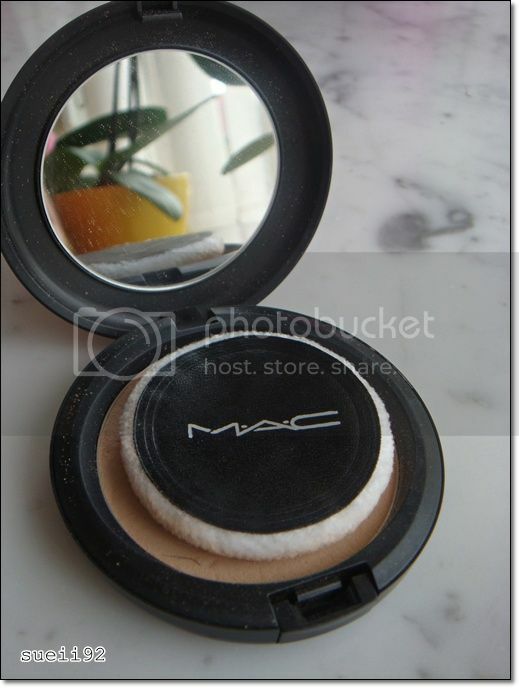 Blot Powder can be applied with the puff that comes in the compact or with a powder brush like #129 Powder/Blush Brush. Perfect for touching up Studiofix Powder Plus Foundation throughout the day. Color(s): dark, deep dark, light, medium, medium dark. I've always used a foundation powder to set my makeup. But I noticed that the product (Laneige Sliding Pact EX (Snow Crystal)#2 true beige)I used, did set my makeup, but it also adds colour to my face which made it a little more yellow/orange. So I was looking for a powder that sets my makeup well and that doesn't add colour to it. And that's why I decided to try the MAC blot powder. I have a normal skin, but my forehead tend to be a bit oily throughout the day. I went to the MAC counter one day the sales assistant told me that the shade medium would fits me. I didn't buy it that time. Another day I went to another MAC counter and the sales assistant there told me that the shade medium dark would fits me, and I end up taking the medium dark home. I am really happy that I bought the medium dark shade instead of medium. The shades are actually much more lighter than the name. So don't get confused by the name, but really try the shade on your own skin. I really love the compact packaging, it's round and black and has a round mirror in it. It comes with a small round puff made of cotton, which I don't use. It's hard to pick some product with the puff: you pick a little bit, or you pick a lot of product. It also feels unhygienic for me to use the puff. It's like you are blotting and pressing it onto your face everyday with a dirty puff. I prefer using my Sigma F30 large powder brush. 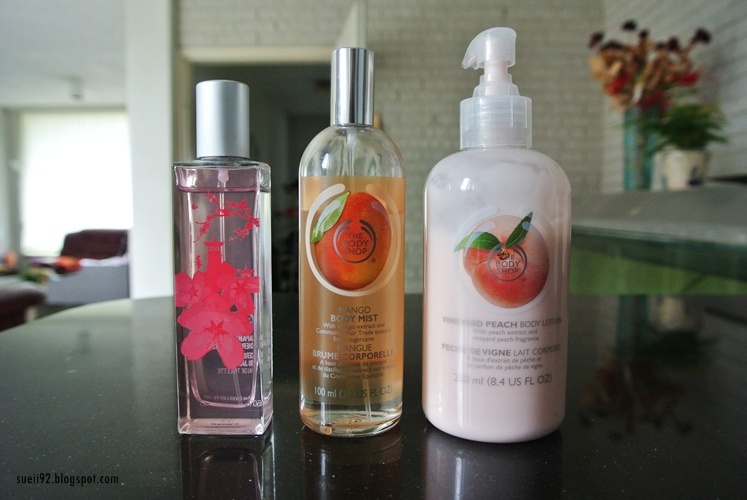 The product itself it really amazing! 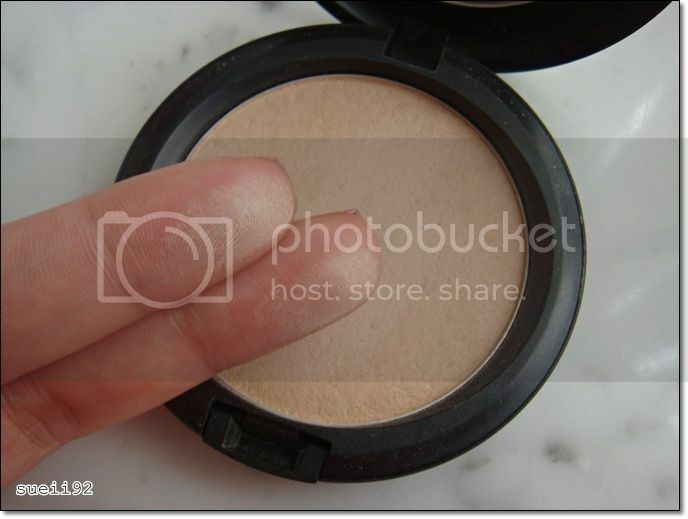 After applying BB cream or foundation I apply the blot powder. The formula of the powder isn't too powdery at all and when applied it feels so natural and lightweight. It doesn't add colour and it helps matte my skin. There is a difference between using with and without the blot powder. Using the blot powder make my make up more long lasting and my forehead less oily throughout the day. My make up with the blot powder lasts for about 6 hours without touch ups. 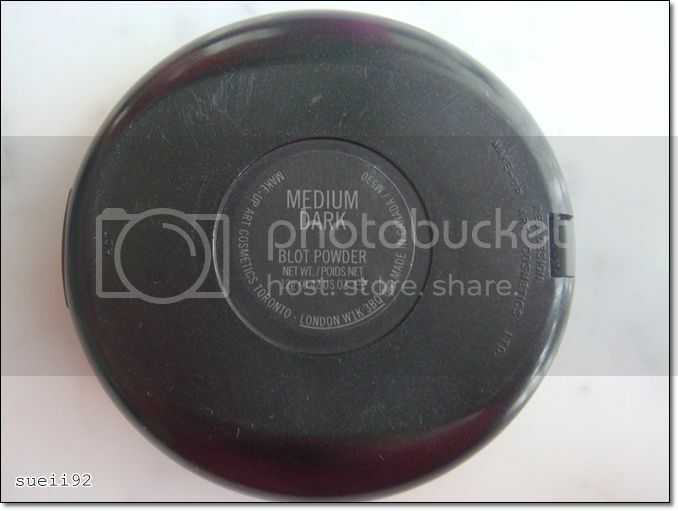 I use this blot powder as a set powder for a finishing touch to my make up. It doesn't looks cakey unless you apply too much. I'm also glad that I don't get break outs by the product. Another plus is that the powder is unscented. Overall, I use it mainly as a set powder and it works amazing for me. Very natural and lightweight, blends pretty well onto the skin. It mattify my skin, set my make up, get rid of the little bit oiliness I have on my forehead. 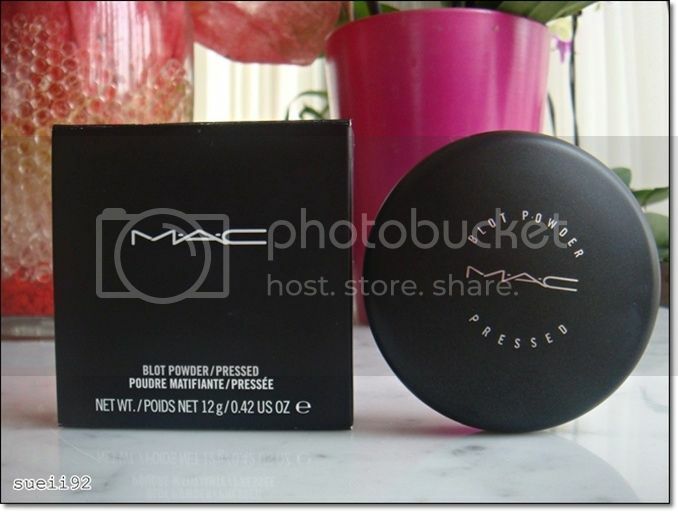 I bought mine at the MAC counter in Douglas for around ~€22/24.